You might think surviving in Mumbai is not an easy task but it would be a treat to live in Navi Mumbai. We Navi Mumbai Houses would like to show you, A 30 storied masterpiece Man Residences an appealing project of your Happiness. Man Realty always consider their residents not only for the sake of living but to have a world class residential units with top line specifications which results in luxurious lifestyle as it has sufficient space around with distinctive facilities. The most prominent and well structured residences providing 2BHK and 3BHK apartments with the most versatile and spacious feel. Apartments with smart architectural asthetics that offer luxury amenities. All the apartments are well equipped with all the modern day amenities as well as basic facilities for the comfort of residents. The apartments are very elegant while being cozy too. The design of the project is lavish yet very thoughtful. The rooms are beautifully designed and are cozy. The windows are large and wide which makes the rooms airy and provide lot of daylight. The lavish interiors and the exuberant exteriors invites you to experience a heavenly living. Well-appointed with modern fittings and fixtures, this magnificent creation is a perfect residential address for a family to reside in. 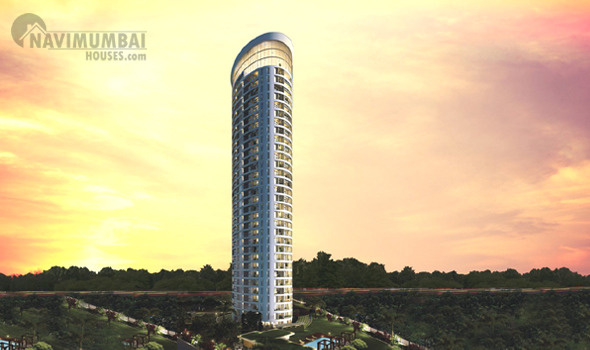 The apartments are intelligently planned to give you the ultimate in luxury in Nerul, opposite DY patil Stadium. With Man Commercial Spaces and IT Park right next door. Man residences is an exclusive and niche living experience that brings together a balance of work and life. Navi Mumbai Houses has earned itself the pride of emerging as the most trusted name in the Real Estate Industry in Mumbai and will definitely help you with your destination. Navi Mumbai Houses Agency was created with a view to meet the expectations of the most demanding customers. 2BHK (858 Sqft - Carpet Area) 1.60 Cr. 3BHK (1060 Sqft - Carpet Area) 1.95 Cr.